For me to honestly explain my experience in this class, it’s important that I be totally upfront. So, before I go ahead and run the risk of misrepresenting myself as some cool and impressive athletic person I want to let anyone reading this know that I am not and I, in fact, have a chronic illness. This is a thing that has changed my body and my life in ways that have forced me to reexamine who I am in relation to, and outside of, my physical self. Because of this I have mostly steered clear of any serious physical activity for several years. Lately, I’ve been inspired by some restored energy to find out what this new body wants and is capable of. 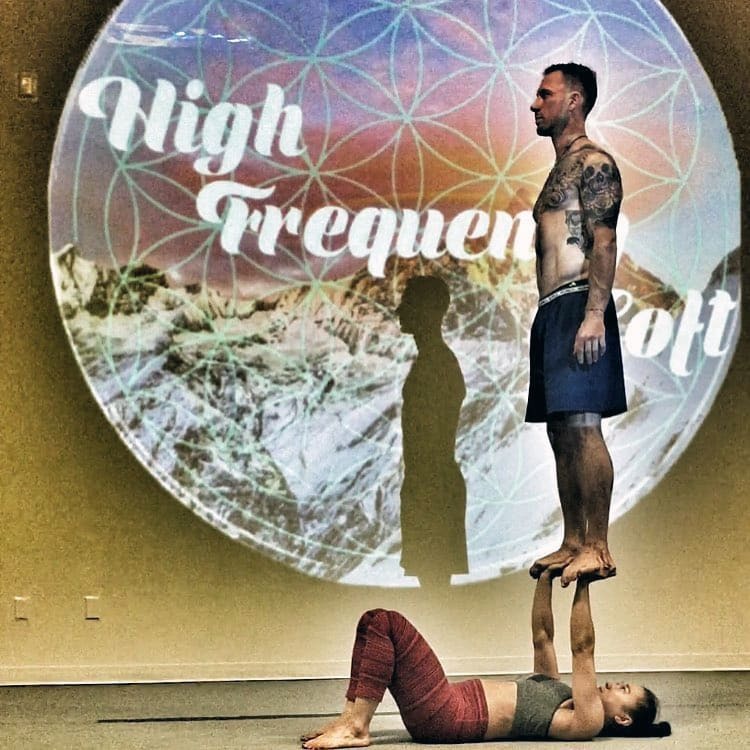 When I decided to try my hand again at AcroYoga it meant not only facing the realities of my body and rediscovering it but also doing that in front of a bunch of strangers. It’s no coincidence then that I decided to give this a try at the High Frequency Loft (HFL), located off Gusdorf road. The Loft, owned and operated by Alana Lee and Colton Silva promotes the chance to try something new in a truly judgment-free zone. HFL offers an incredible array of classes, events and workshops throughout the year (more on these in the future) and from attending these I knew this felt like a safe space to re-meet my more physical self. The class begins with 10 minutes of whole body callisthenic warm up and stretching both individual, partnered and group exercises. I was able to modify some of these or just go at my own pace when needed. These are not your average warm-ups; the elements of play and circus-like movement are apparent from the get-go, which is wholly more engaging than your average workout. Not only is it actually fun but it can also be disarming — quickly building camaraderie and acceptance between classmates, not generally present in fitness classes. Though the base (the person on the ground) is often helping to create deep and delicious stretches for their flyer (yes … the person in the air), flyers are taught to provide their bases with a thankful and nourishing stretch of their legs. It is a truly symbiotic relationship. And communication is key here. As Silva explained “you’ll notice trust between partners, cooperation, and rock-solid communication. 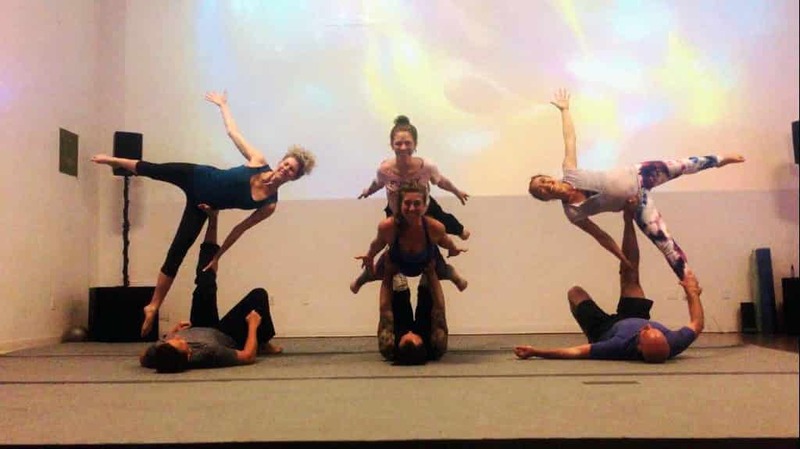 Beyond the fancy shapes and poses, those are the qualities that AcroYoga helps to instill in all ages.” And it’s true. I was nervous to communicate to my partners that my body has bigger limits than one might expect, but once I did this, and found that my base and my spotter (a third partner dedicated to making sure you’re safe and sound) had no expectations, I was freed from my own concerns and actually able to push further than I had expected. It helps a great deal that Lee is a fantastic instructor with an intuitive knowledge of how our bodies work. She has a knack for guiding students into positions they never thought possible, developed over 20 years of teaching movement of all kinds to all ages & levels. Lee has led workshops in yoga and fitness all over the world — not to mention that she’s certified in 20 different formats and modalities that would take half this column to list. Because of this, Lee exudes the type of knowledge and trust necessary to make you believe in your own bodies ability — probably the biggest and most important piece of all of this … especially for this sick lady right here. For me, getting to have the support of strangers who become my partners, where we help one another explore our physical limits is definitely a spiritual exploration. There is nothing quite like realizing you’re capable of something you no longer thought possible and having at least two other people (if not an entire room) cheer you on, and getting to return that favor 10-fold. 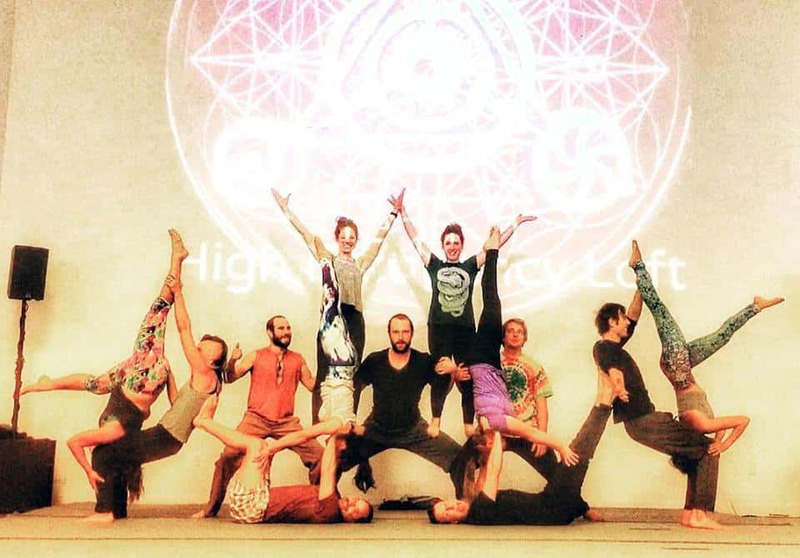 Each class is a community, and each new pose is a gentle reminder that we are all capable of incredible things. 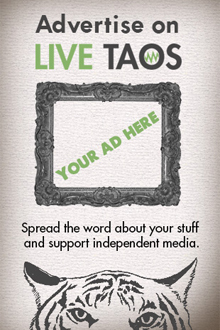 Lorenne Gavish is a guest author for Live Taos. Do you have something interesting to say? Submit your article to [email protected] and we'll take it from there.